Alira Health is pleased to announce its sponsorship of the World Advanced Therapies & Regenerative Medicine Congress 2018 in London. Dr. Martin Pöhlchen, Partner, and William Hariri, Director, Business Development & Strategy Consulting at Alira Health will be in attendance. Dr. Pöhlchen will chair the C-level Forum on May 17th at 11:40 am on regulation, pricing, reimbursement and market access of advanced therapies around the globe. Dr. Martin Pöhlchen specializes in advising clients on gene and cell therapy and advanced therapies. He earned his Ph.D. in chemistry and was actively involved in the development and commercialization of several cell and gene therapy vaccines and platforms in the AAV, CVLP and the HSV oncolytic virus area. 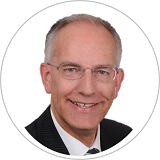 As a former CEO of several biotech companies, Dr. Pöhlchen has over 20 years of experience in general management, licensing, business and corporate development, M&A, intellectual property and R&D management. In Germany in 2004, he was honored as a finalist of the “Deutscher Zukunftspreis,” the Federal President’s Award for Technology and Innovation. We would like to meet with you during the congress! Advanced scheduling is recommended as meeting times are limited during the conference. Please contact William Hariri to schedule your meeting. The World Advanced Therapies and Regenerative Medicine Congress, co-located with the World Precision Medicine Congress is two events: A world-class conference where business leaders from around the world meet; and, a unique exhibition for pharma, biotech, and research experts. To visit the exhibition is free.